Binotto opens in the US! Following our commitment of proximity to the market and as part of our international expansion process, we are happy to announce the opening of our new subsidiary Binotto USA, LLC. This new location will allow Binotto to better serve customers in the North American market. Over 65 years old, serving more than 150 countries across the globe with subsidiaries, authorized dealers and specialized workshops, Binotto Group is based in Italy, with 5 state-of-the-art manufacturing plants worldwide: 3 in Europe, 1 in Brazil and 1 in China. 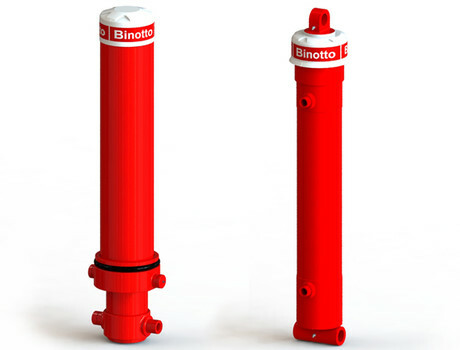 Binotto brand is highly rated for reliable and top-quality design of telescopic cylinders and complete hydraulic systems including front-end and under-body telescopic cylinders, wet kits, oil tanks, pumps, ptos and valves. We design, manufacture and distribute a vast amount and variety of telescopic cylinders, with the widest selection for capacity and product variations. This new USA subsidiary marks another important milestone for the Binotto Group. Trunnion type cylinders and pin-to-pin type cylinders are all available with Binotto B3 technology. Binotto USA is located at 702 South Persimmon, Building 2-A, Tomball Texas 77375 (just 30 miles north of Houston).